There’s no reason to travel abroad to see a royal castle on a hilltop. Simply step into the intricate and beautiful history of the United Kingdom and see how you can find that same experience, right here on your doorstep. So, not only will you be saving on travel costs but you’ll also spend a lot less time on a plane and a lot more time appreciating your chosen destination. Here are 5 must-see castle destinations spread throughout the United Kingdom. Seeing as there is such a large variety, you can look into other recommended castles, their fascinating history and locations alike. Whether you're looking for a great place to visit with the kids, or for a lovely day of exploring, a castle could be just what you want. 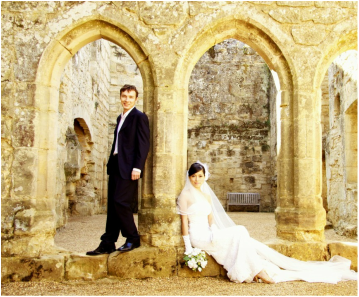 If you're thinking of the perfect wedding destination, all these castles have the option of hosting weddings. Just imagine a beautiful bride crossing the bridge and a handsome groom waiting near the tower; water sparkling all around them while stone walls engulf their imagination: now that's a fairy tale come true. 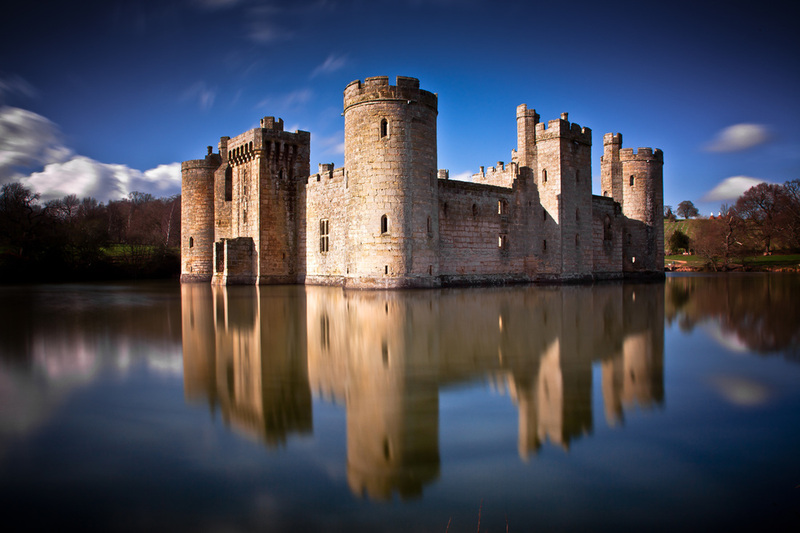 Bodiam castle has such a majestic atmosphere around it that it's completely invigorating. This 14th-century moated castle near Robertsbridge, East Sussex, has an architectural design that will truly make you think: fairy tale. ​The medieval splendour it holds, its glassy reflection in the moat water and its compelling towers will take your breath away. Bodiam Castle was built in 1385 by a former knight of Edward III and underwent some dismantling and eventual restoration. It was originally built for defence against the French invasion, hence the moat surrounding the castle. It may simply be a beautiful area of water coating the castle now, but its original purpose was defence. It is now owned by the National Trust and is open to the public. There are plenty of activities available for all the family to enjoy. You can take your family and have the children explore the moat and the towers. There is also wildlife, such as bats to witness and get the kids a little more excited about. Herb Gardens can be found in the same area and you can take your partner and go exploring or have a tour guide show you the way. It is a magnificent location and a place that needs to be seen by everyone. It's open throughout the year, so you can visit the castle with snow salted on it or rays of sunshine sweeping its roof. Warwick Castle is a medieval treasure situated on a bend of the River Avon, in Warwickshire. Its splendour will entice and drive inspiration into every ounce of your being. Its location is spectacular, the gardens, the towers, the architecture all play a part in this castle's exceptional appearance. The magnificent Warwick Castle is a development of a castle first built by William the Conqueror in 1068. However it was rebuilt in stone in the 12th century. So it has been standing for quite a few centuries and its history is certainly rich. The activities available at this castle are so varied, that it suits everyone. If the family's coming with you, you can visit the Castle Dungeon and have a deeper look into the Castle's darkest history. If you want to find out more about its history, you can also experience the Time Tower and find out stories about the castle's younger days and the battles it held. Warwick Castle has activities for every member of the family and all your friends. Visiting Warwick won't only entice and inform you with its architecture and history but its events will help you experience those medieval times in detail. Leeds Castle has as much beauty as it has history. Its towers and stone architecture bring a true medieval feel to the atmosphere. Built in 1119, this castle has undergone a few stages of reconstruction to its original design. The lake that dominates its location was only added after 1278, when it became King Edward I's property. Not only do you get to enjoy the visuals, but there is a variety of activities you can partake in. The castle has a large maze that many visitors enjoy getting lost in. You can split the family into two and race to see who can find their way out fastest. This location also has a great romantic spark so getting your partner and having a walk around the castle is a perfect time to bond and experience the activities and sights together. 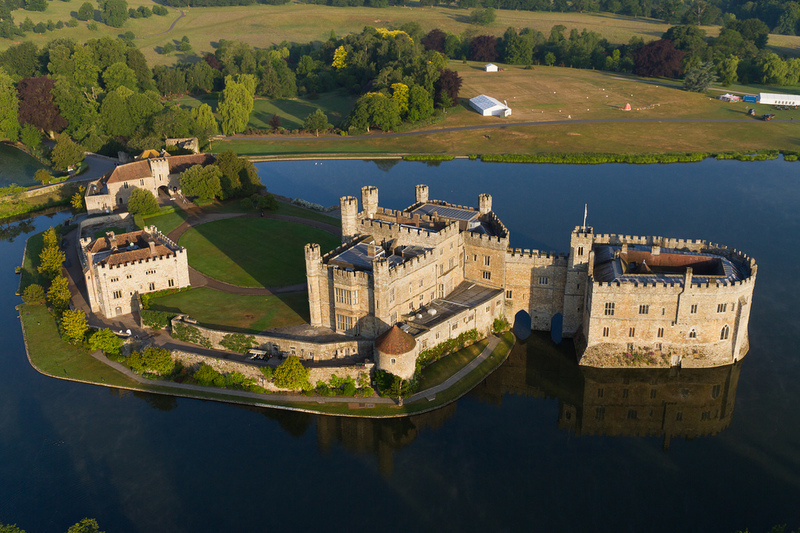 Leeds Castle offers much more, including accommodation, fancy displays, various shows and art exhibits. You'll certainly be busy. This medieval castle in Wales was built by Edward I between 1283 and 1289. Its bold towers form its royal, eccentric and phenomenal view. Situated on the very north of Wales, it played an important role in a few wars over time. It is classed as a World Heritage site, and the area it's situated in controlled an important crossing point over the River Conway. You can visit the court and tower and explore the exhibitions of the world's first commercial aerial photographers, Aerofilms Ltd. 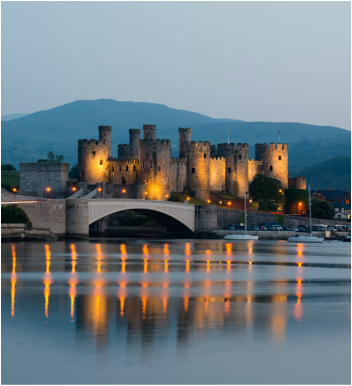 Depending on the time of the year, Conwy Castle holds Easter Egg hunts and other fun activities for everyone to enjoy. ​The location is also a bridge away from the town of Conwy, where you can explore another part of Wales, find accommodation close by and go shopping for that perfect fridge magnet. 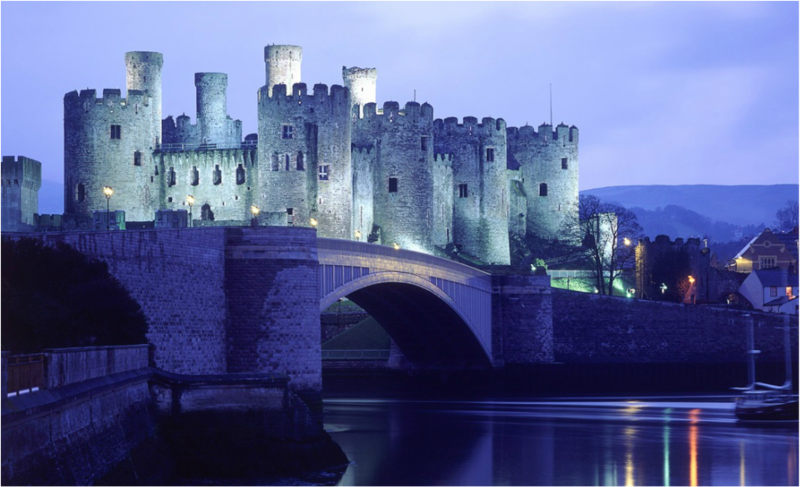 Conwy Castle could be one of the best experiences of your British getaway. 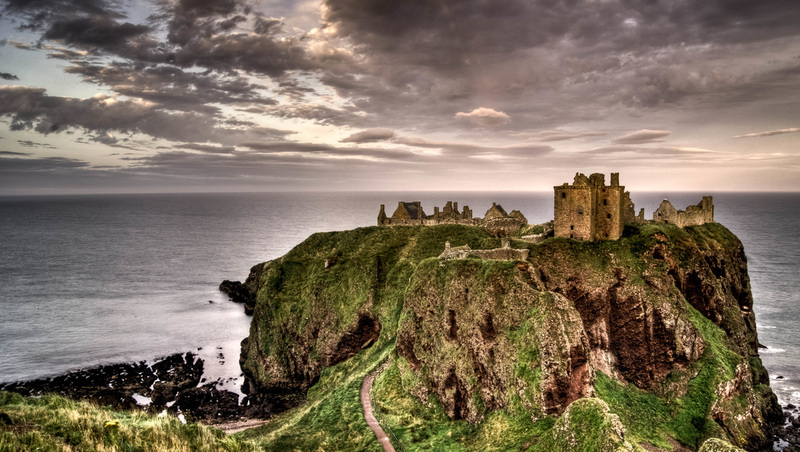 Dunnottar Castle has a location that beats any other. It is a ruined medieval fortress from the 15th and 16th centuries on top of a tall, rocky headland in Scotland. It has a dramatic and exposed setting that gets your heart beating. This inspiring location holds the castle's ruins with the chapel and drawing-room still somewhat intact. Find secrets and historical details that you couldn't experience anywhere else, about Scotland, William Wallace, Mary Queen of Scots, the Marquis of Montrose and the future King Charles II, who all visited this castle. This place is best known for being the secret location of where the Honours of Scotland, the Scottish crown jewels, were hidden in the 17th century from Oliver Cromwell's invasion. The castle's defensive ability is also great: being on a clifftop of the North Sea. It was then restored in the 20th century and opened to the public. This castle is a great spot if you're looking for an adventure, for something new with a little hidden history behind it and a great life experience. It is also located 1.9 miles away from the town of Stonehaven in Aberdeenshire. So you can also travel around the area and get to know another side of Scotland. Dunnottar Castle is the perfect location for a little something new, experiencing breath-taking scenery and appreciating the English culture.